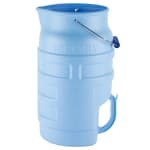 The 5.75-gallon Vollrath 7001 Traex® Safety Mate™ Ice Porter™ ice tote can hold up to 30 pounds of ice at a time. Its durable plastic construction will not break easily and is suited to commercial use. The built-in handle on the bottom of the tote enables you to easily use it to dump ice into displays, bins, and dispensers. A hang hook is built into the bin so it can be hung up for storage or draining water. 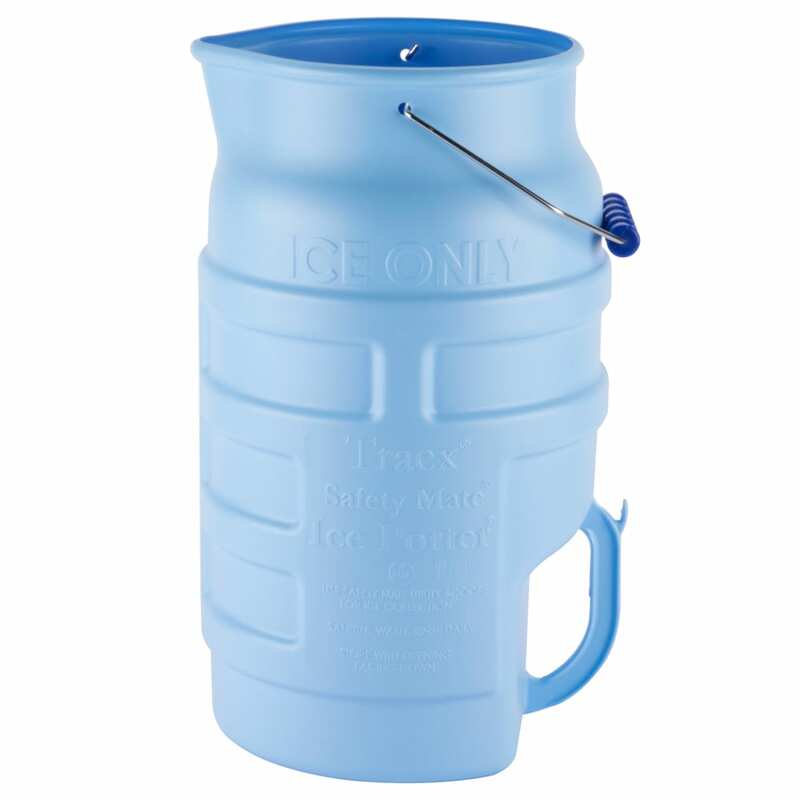 The Vollrath 7001 Traex Safety Mate Ice Porter ice tote is blue and stamped with "Ice Only" to help prevent cross-contamination. Blue tote stamped with "Ice Only"